To keep the Federal Aviation Administration functioning, Congress must pass a reauthorization bill by September 30th. But the current bill has been stuffed with last-minute provisions that would strip people of their constitutional rights. In the FAA Reauthorization Act, Congress attached the Preventing Emerging Threats Act, with slightly modified language. But the new provisions do nothing to protect private drone operators—flown by journalists, businesses, and hobbyists—from unprovoked, warrantless take-downs and snooping by DOJ and DHS. The FAA Reauthorization also for the first time gives a congressional imprimatur to DHS’ biometric scanning of domestic travelers and U.S. citizens. The basic functioning of a government agency should not be taken hostage by controversial legislation that strips people of their rights to speech and privacy. Unless these provisions are removed, Congress should not pass FAA Reauthorization. As we’ve previously reported, DOJ and DHS have been pushing Congress for overbroad authority to destroy, commandeer, and wiretap all unmanned aircraft (regardless of size). These agencies would be empowered to do so when needed to “mitigate” (undefined) a “credible threat” (to be defined later by the agencies) posed by a drone to “the safety or security” (undefined) of “a covered facility or asset” (broadly defined to include nearly any federal property). The pending FAA Authorization Act has changed some of the language from the original bill (Sec. 1601). But the overbroad shoot-down and wiretapping authorization is largely the same, and we’re still opposed to this expansive warrantless authority. The new language narrows the blanket exemptions from U.S. law given to DOJ and DHS to disable drones, but it still entirely exempts the two statutes that protect people’s electronic communications from government spying: the Wiretap Act and the Pen Register and Trap and Trace Act. The new version also includes discretionary notice, where DOJ and DHS are authorized to “warn” drone operators that they are flying in restricted airspace. But this authorization is not a requirement, meaning that the agencies are not actually required to get in touch with drone operators who may be flying over a “covered asset or facility” by mistake. EFF continues to oppose these provisions that endanger the First and Fourth Amendment rights of people on the ground and in the air. EFF also opposes language in the FAA Reauthorization Act that would give a congressional stamp-of-approval to biometric screening of U.S. citizens and domestic travelers. Congress has authorized biometric screening of non-citizens who cross the international border, but Congress never authorized biometric screening of U.S. citizens or domestic travelers. But in the last few years, DHS has begun unilaterally subjecting U.S. citizens to biometric screening before certain international flights, and has plans to expand such screening to domestic airports. EFF strongly opposes biometric screening of travelers, including facial recognition, fingerprints, and other highly sensitive personal traits. The proposed screening program invades privacy, uses inaccurate technology (especially for travelers who are part of minority groups in the U.S.), creates new opportunities for data theft and misuse, and can easily be diverted to more onerous uses (like screening travelers for arrest warrants on unpaid parking tickets). This invasive screening program is being led by two units of the U.S. Department of Homeland Security: Customs and Border Protection, and the Transportation Security Administration. Buried in the text of the FAA Reauthorization bill, Congress for the first time acknowledges and gives its imprimatur to biometric travel screening of domestic travelers and U.S. citizens. Specifically, the bill requires a study by CBP and TSA to address, among other things, “the process by which domestic travelers are able to opt-out of scanning using biometric technologies” (emphasis added). This assumes biometric screening of domestic travelers. Further, the study must address “the prompt deletion of the data of individual United States citizens after such data is used to verify traveler identities” (emphasis added). This assumes biometric screening of U.S. citizens. These two provisions might be viewed by DHS as a congressional blessing of invasive practices that Congress has never actually authorized. They should therefore be stripped from the bill. The good news is that the current FAA Reauthorization Act does not include troublesome language earlier proposed by Senator Thune (S. 1872) that would authorize TSA to deploy biometric screening throughout domestic airports (not just the gate of international flights) of all travelers (not just non-citizens). EFF opposed that bill. In fact, the Act contains language (at Section 1919) stating the bill shall not be construed to facilitate or expand biometric screening. Also, the Act’s study provision requires CBP and TSA to report on their program’s privacy impact, error rate, and disparate impact on minority travelers. EFF does not object to these parts of the bill. 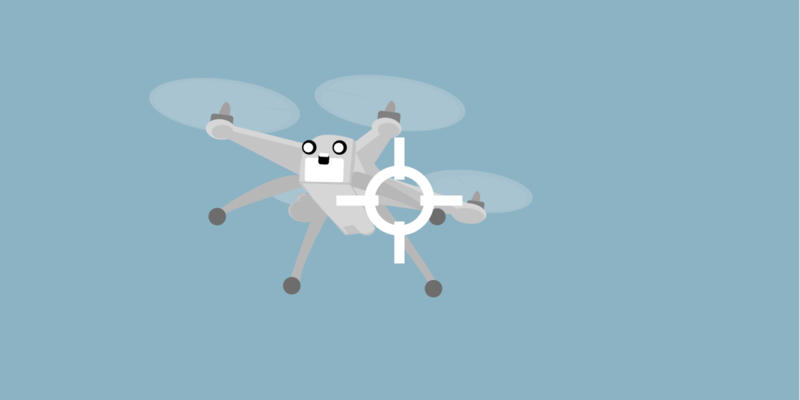 Join EFF in demanding that Congress remove the troublesome drone shoot-down and biometric surveillance provisions from the FAA Authorization Act.